For that finishing touch to your workplace or home, make sure your windows sparkle. We are specialist window cleaners with over 13 years of working for both domestic and commercial customers. 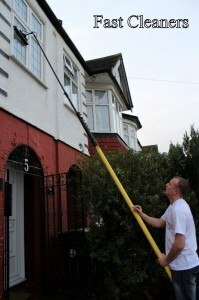 However difficult your windows are to clean, give us a call and we can survey your premises and provide you with a competitive quote that will not be beaten anywhere within the Greater London area. All our work is fully guaranteed and our operatives are vetted, uniformed and fully insured. Our staff are always punctual, polite and friendly. The window cleaning service we offer is reliable and trustworthy and we can offer a frequent weekly service or to a one off clean. You do not need to worry because all our services are at reachable cleaning prices. Whatever your requirements, we can offer a bespoke service to fit around your needs and our cleaning services include both internal and external windows. Fast Cleaners Sutton are fully insured and consider your health and safety of paramount importance while we are working. All our operatives work is periodically checked by a contracts manager and we are industry accredited. Sparkling, clean windows are important for a professional image and we have many commercial and domestic contracts both large and small, many through recommendation. Our quotations are straightforward and clear so you always stay in your budget with no unexpected costs, so let us make your windows gleam and sparkle, give us a call on 020 3322 7030.